Rock the Block! With a $25 purchase from the fall/winter CTMH idea book, you can get 2 new products from the winter idea book (starts in Feb). 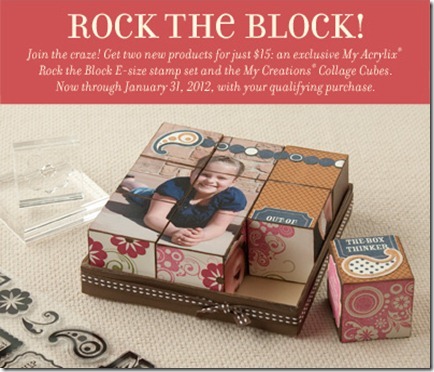 Rock the block E size stamp set and the new creations cube for $15! Goes through 1/31/2012! Place your order today! Previous Post Come to a make and take!